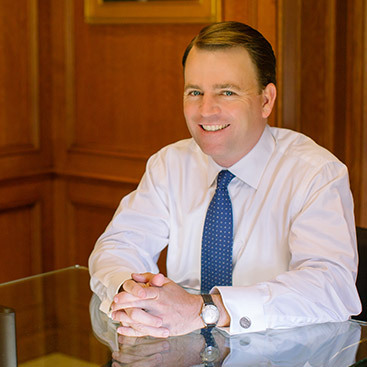 Jack has been the Managing Partner of RBO & Co. since 2005, succeeding his father Reg, who founded the firm. Jack was first exposed to investment research in high school, when he joined his father on research field trips. In college he continued his interest in financial markets via college internships on floors of the New York, American and Pacific Stock Exchanges. Upon graduating from UC Berkeley, Jack joined Bloomberg LP, where he attained a foundation in security analysis across multiple asset classes by working with some of the world’s largest hedge funds and broker dealers. After leaving Bloomberg, Jack joined RBO as an analyst and immersed himself in the firm’s long-practiced value investment methodology. Working directly with his father, Jack was indoctrinated in an investment discipline that was developed from his father’s 40 years of security analysis. This experience cemented Jack’s core philosophy of investing in undervalued, competitively advantaged companies run by solid management teams. Jack’s views on the markets have been shared in national media outlets such as Barron’s, Bloomberg Radio and Fox Business News. Jack holds a B.A. from the University of California, Berkeley in Political Science and an M.B.A. from the University of San Francisco with an emphasis in Finance. He previously held the rank of First Lieutenant in the Army National Guard, where he served as an Executive Officer. Jack is active in his community and serves on the boards of several non-profits. Jack enjoys spending time with his wife and three sons, playing competitive tennis and working his Bloodhound Jefferson in the outdoors.